If you have ever wondered how to apply stucco on your own, it is actually a fairly simple process that takes a few necessary tools and a little bit of patience. Interior or exterior stucco provides many benefits to homeowners. It is durable, weather-resistant, and is an excellent cover up for less attractive building materials such as concrete blocks, [[Drywall Installation Technique|drywall] or clay bricks. It is important to remember that stucco application will differ depending on the type of surface you are covering, whether it is wood, blocks, brick, concrete or drywall. 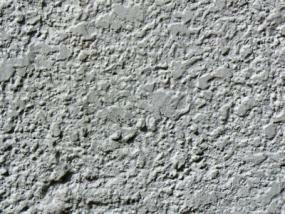 In the past stucco was originally a mixture of lime, sand and water. Today stucco is made from Portland cement, sand and water. Often lime is added to help make modern stucco more workable, and less permeable. There are also a host of additives, such as fibers and synthetic acrylics that provide extra strength and flexibility so the stucco doesn't crack due to inclement conditions. The first two coats are often either applied by hand or sprayed with a machine, then the final coat is troweled to a smooth surface or a rough hand-texture. Applying stucco to wood is a different procedure than applying over concrete or brick. First, attach a plastic or wire mesh lath to the frame. This layer acts as a stable element to the stucco. Next, apply an asphalt-saturated or plastic sheet, known as a stucco wrap, over the top of the lath. This protects the stucco from rain and moisture and helps prevent cracking. With a flat finishing trowel, apply a 1/4- to 1/2-inch scratch coat of plastic cement and sand, allowing to partially dry. Then scratch this coat with a plasterer's rake in a horizontal or crisscross pattern to provide a base for the second layer. Allow this coat to dry at least 36 hours before applying the second coat. Apply the next layer, or the leveling coat, scrape it smooth and allow to dry for at least 36 hours. Continue to spray the layers of stucco with water to keep it moist while it cures. If the stucco dries too quickly it will become weak and brittle. The final exterior layer is the finish coat, which should be applied with a flat finishing trowel. Allow this coat to cure for several days and mist the surface to help maintain a certain level of moisture. 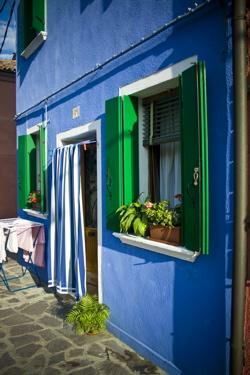 If you want to add color to your stucco, there are a a few excellent options to consider. You can add a powdered pigment and mix in with the stucco to integrate the color throughout the entire finish coat. Alternatively you can also use an acrylic-based finish that can be applied over the finish coat. This can be ordered in just about any color you would want for an interior or exterior finish. Finally, you can always paint over the stucco, but it is recommended that you wait at least six weeks before painting over the finished coat so the stucco has time to dry completely. Builder's Guide to Stucco Lath & Plaster, by Builder's Book Inc.